Hello friends, again AkhmadShare.Com in this time will discuss the article on "What are Macronutrients and Micronutrients [Examples]", hopefully this can provide benefits to you, here's his review. Micronutrients are nutrients (nutrients) that are needed by the human body during his life in small quantities to perform physiological functions, but cannot be produced by the body. Micronutrients are composed of vitamins and minerals that cannot be made by the body but can be obtained from food. The principal macronutrients are nutrients (nutrients) that provide energy for the body required the body in large amounts (macro = large) to survive. The nutrients your body needs relatively large amounts of so-called macronutrient. They include carbohydrates, proteins, lipids, and water. All the principal macronutrients except water can be used by the body for energy. (The energy in food is measured in units called calories) The right amount of each macronutrient sufficient individual needs depend on many factors, including gender and age. Carbohydrates include sugar, starch, and fibre. Sugar and starch will be used by the body for energy. One gram of carbohydrate provides 4 calories of energy. Fiber, found in plant foods, can not be digested but are necessary for good health. 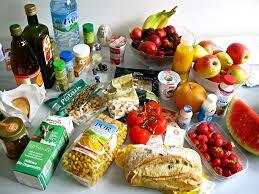 Simple carbohydrates are small carbohydrate found in foods such as fruits and milk. These carbohydrates including lactose, fructose and glucose. Complex carbohydrates are molecules that are much larger. Starch, which is the complex carbohydrates found in vegetables and whole grains, is made of thousands of glucose units bonded together. Foods that contain protein is broken down during digestion process to provide the amino acids needed for protein synthesis. Any extra protein in foods that are not required for this purpose is used for energy or stored as fat. One gram of protein provides 4 calories of energy. Eat proteins provide the amino acids for Your cells to produce its own antibodies, Your muscle fibers and enzymes (as well as many types of protein). The nutrients your body needs in small amounts are called micronutrients. They include vitamins and minerals. Vitamins are organic compounds that are needed by the body to function properly. Some vitamins are described in the table below. Vitamins play many roles in good health, ranging from maintaining good vision to help blood clot. Vitamin B12 is produced by bacteria in the large intestine. Vitamin D is synthesized by the skin when exposed to UV rays. Most other vitamins must be obtained from foods such as those listed in the table below. The mineral is a chemical element which is essential for the process of the body. They include calcium, which help to form strong bones and teeth, and potassium, which are necessary for normal nerve and muscle function. A good source of minerals, green leafy vegetables, whole grains, milk, and meat. Vitamins and minerals do not provide energy, but they are still important to good health. The required amount can usually be met by eating a balanced diet. However, people who do not eat enough of the right foods may need a vitamin supplement or mineral.